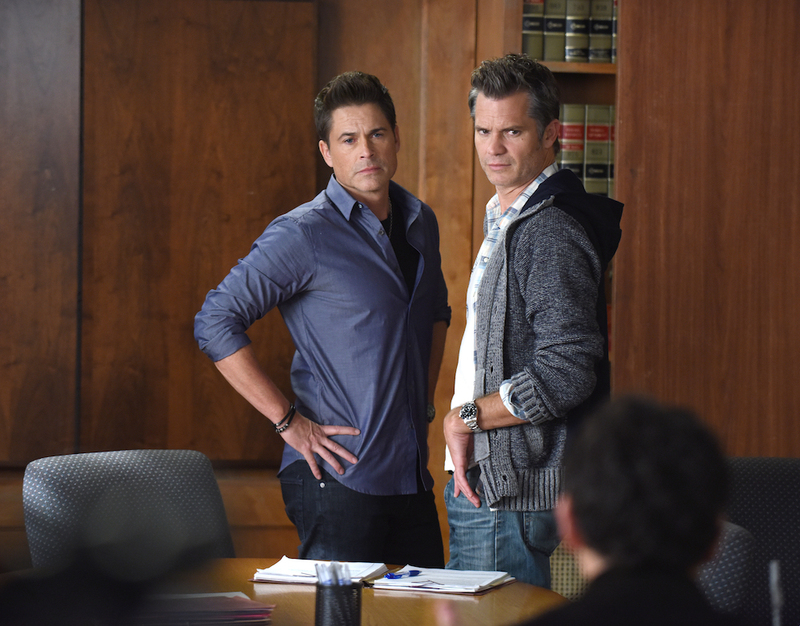 Rob Lowe deserves an Emmy as much as "The Grinder" deserved its Season 2. Only one can still happen. Let's make it so. The funny thing about the Emmys is how long the campaign season actually runs. Even though the first round of voting takes place in June (with nominations announced on July 14), the PR machines kick in as early as February – for awards that aren’t announced until September 18. That means some Emmy “For Your Consideration” interviews are conducted long before stars and producers learn the fate of their shows. 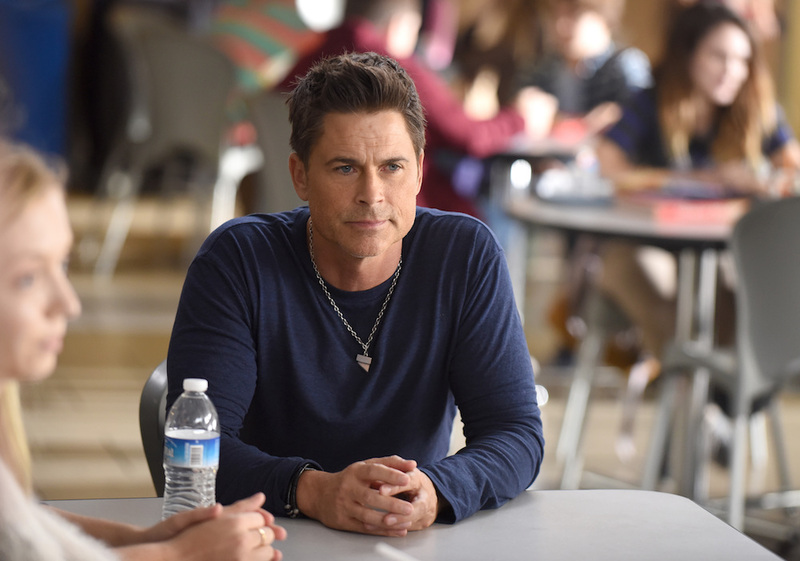 Such was the case of Rob Lowe and his exquisite experiment, “The Grinder.” Indiewire spoke with the talented thespian a month before Fox axed the critically-hailed comedy, and — while we spoke again for the season finale — what he had to say at the time is relevant to what happened to “The Grinder.” We talked to him again after news of the cancellation hit, and the below interview represents a lightly edited transcript of those two conversations. Most importantly, Lowe’s impeccable, daring and nuanced performance has not changed. He is as deserving today as he was before the show’s premature end, if not more so. “The Grinder” may rest, but Lowe grinds on — and the time for his just reward is now. You’ve been vocal about getting this show picked up at another network or streaming channel. What drives that? My interest in “The Grinder” is with the understanding that this group will be hard to reassemble, if not impossible. The notion of a show as acclaimed, as original, with the level of talent in front of and behind the camera and that has done all this has done in its first year wouldn’t have a home anywhere on television, it seems a little outrageous. That it doesn’t have a home on network television tells you all you need to know about network television. Would you consider making another show on broadcast TV after “The Grinder”? When people talk about the state of network television, you have to ask yourself would Aaron Sorkin and the cast of “The West Wing” be on broadcast TV? And I think you have your answer. Talk a little bit about how the show developed over the first season. It was always fairly serialized from the beginning, but it took on longer and longer arcs as it went along. Originally, the mandate was to have them be more standalone episodes. And then as, quite frankly, the reviews came in and people were so excited about what we were doing, our writers Jarrad Paul and Andy Mogul were kind of left to do what they really wanted to do, and I think the last half of the season is sort of where they saw the show going all along — which is, as you alluded to, slightly longer arcs and a little more serialized. That absolutely was a kind of conscious change at a certain point. Was there any concern about making a broadcast comedy more serialized from a ratings standpoint? Well, the ratings and “The Grinder” are a two-part interview in and of themselves. I think what we’re looking at is we’re looking at a real discussion of: Can an original concept that is smart, and silly, and meta, and truly a prestige comedy work today on a broadcast network? I don’t know if the natural home for that kind of comedy is broadcast anymore. I would hate to see networks cede that creative community to streaming. There are so many interesting storytellers and comedians and actors who will just completely and utterly migrate there if shows like “The Grinder” can’t work. What’s it been like for you as a performer to go through such an elaborate arc with Dean in just one year? Well, you know, Dean loves drama. He can find drama in the most mundane moment of everyday life, so the writing has to feed that element of the character. What you end up with is him going through tremendous arcs. Also, it serves the meta part of the show where we are telling truth to successful prime-time network dramas; where they shoehorn really unbelievable storylines through their characters. That’s just what they do in today’s primetime world of network dramas. So it kind of serves both things. Have there been any challenges inherent in Dean’s rapid development? You know, you can never play “likable.” You can’t play things like that. You can’t play an idea. But the challenge is — because Dean is a wealthy, white, famous actor, who is a narcissist — it’s making that enjoyable and making that relatable. Underneath that, I’ve always tried to mine what drives him to want to be so loved. He loves drama, but he wants to be loved — which is ironic, because the country already loves him. So I’ve seen this archetype done before, but he’s always a douche. Or he’s always that sort of good looking slimebag you don’t want to like. I think every character has an element to it that you have to pay attention to or it’s not as layered as you would like. For Dean, it’s finding the stuff underneath that makes him behave the way he does, which then hopefully makes him relatable — because, on his face, there’s not much relatable about Dean. One of the key arcs for the series was defining the difference between Dean and that archetype. And it was done so well when you brought in Timothy Olyphant as the new “Grinder,” allowing you two to play off each other really helped define who Dean was and who Dean wasn’t. Exactly. Dean is a little bit like a star child. He’s a little bit like E.T. or Starman, Jeff Bridges’ character from back in the day. He’s naive. For someone who’s so worldly and has so many great stories and so many larger-than-life experiences, he’s a little bit like a little boy, wandering the world. The Olyphant stuff really illustrated that because Tim’s “Grinder: New Orleans” character has no such sort of wide-eyed wonder. You’ve made a career in comedies playing these extreme characters, and they’re all very different — from Eddie Nero (“Californication”) to Chris Traeger (“Parks and Recreation”) to Dean Sanderson. But is there a secret to kind of keeping them grounded, even in those really funny and outrageous moments? Stay up to date on all your favorite shows: Sign up for the Indiewire TV newsletter today!